With the passing of their iconic frontman, Lemmy Kilimister, Motorhead drummer Mikkey Dee tell’s Sweden’s Expressen, that the band is over. 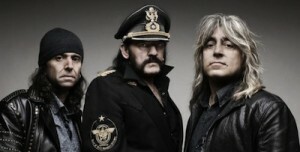 The last city to host Motörhead was Berlin, earlier this year. Despite already suffering from his illness Kilmister battled his way through to the end of the group’s Europe tour. …Dee concedes that Motörhead wrapped up its career in the best possible way. ”It feels fantastic that we were able to complete the tour with him. It’s heartening that we didn’t cancel because of Lemmy,” he says. “I’m incredibly grateful over the years we had, and that we had such a good time together,” he adds.